SCIENTISTS HAVE DEVELOPED a fabric that can change its insulating properties in response to its environment. 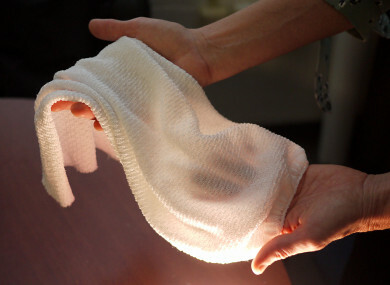 Researchers at the University of Maryland (UMD) in the US say they have created the first fabric that can automatically regulate the amount of heat that passes through it. When conditions are warm and moist, such as those near a sweating body, the fabric allows infrared radiation (heat) to pass through. When conditions become cooler and drier, the fabric reduces the heat that escapes. The development was reported in the latest issue of the journal Science. The fabric is made from specially engineered yarn coated with a conductive metal. Under hot, humid conditions, the strands of yarn compact and activate the coating, which changes the way the fabric interacts with infrared radiation. “This is the first technology that allows us to dynamically gate infrared radiation,” YuHuang Wang, a professor of chemistry and biochemistry at UMD and one of the paper’s authors, said. The base yarn for this new textile is created with fibres made of two different synthetic materials — one absorbs water and the other repels it. The strands are coated with carbon nanotubes, a special class of lightweight, carbon-based, conductive metal. Researchers explained that because materials in the fibres both resist and absorb water, the fibres warp when exposed to humidity such as that of a sweating body. “It’s a very simplified way to think of it, but imagine bringing two antennae close together to regulate the kind of electromagnetic wave they pick up. Depending on the tuning, the research notes that the fabric either blocks infrared radiation or allows it to pass through. The reaction is almost instant, so before people realise they’re getting hot, the garment could already be cooling them down. On the flip side, as a body cools down, the mechanism works in reverse to trap in heat. “The human body is a perfect radiator. It gives off heat quickly,” Min Ouyang, a professor of physics at UMD and another author on the paper, said. For all of history, the only way to regulate the radiator has been to take clothes off or put clothes on. But this fabric is a true bidirectional regulator. According to the Science paper, this is first textile shown to be able to regulate heat exchange based on its environment. More work is needed before the fabric can be commercialised but, according to the researchers, materials used for the base fibre are readily available and the carbon coating can be easily added during the standard dying process. Email “New fabric automatically cools or insulates based on its environment”. Feedback on “New fabric automatically cools or insulates based on its environment”.